A new year brings excitement and anticipation of what's to come. It gives us the permission to make changes in our lives or not. With a little orchestration, we can map out 2015, set goals and accomplish more. This might be the best gift you could give yourself. Let me show you how. Mirror mirror on the wall, show me 2015 once and for all. Wouldn't it be a wonderful thing if we could fast forward and get a sneak peek in to our lives next year, but have the power to course correct today if we don't like what we see? Well, it's that time of year again where we may start to look ahead to 2015 and think about how we want our lives to unfold and what we want to accomplish. A new year brings excitement and anticipation of what's to come. It gives us the permission to make changes in our lives or not. We can empty our shelves of what did not go well in 2014 and stock up on what we want and need for 2015. But for some of us, looking ahead may cause some trepidation, uncertainty and pressure. However, with a little orchestration, we can map out 2015, set goals and accomplish more. This might be the best gift you could give yourself. Let me show you how. Get your life moving in the right direction. 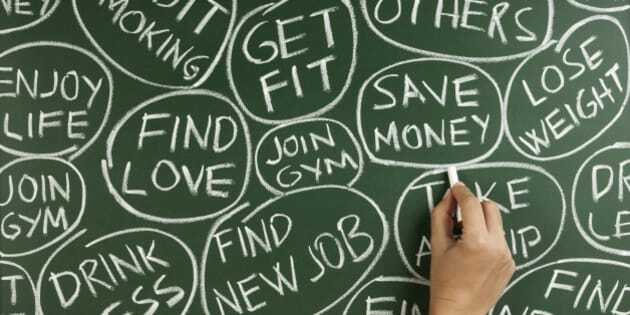 Many of us set unrealistic New Year's resolutions. We may have good intentions, but soon give up when the going gets tough and results are not immediate. So let's start planning today and take the pressure off ourselves. This way as we greet 2015 we will feel a sense of joy and anticipation because we are already working towards our goals or a new set of goals. If you are like most of us you would probably agree that you want more out of your life. It's not that you are not unhappy in your life but you know you could be doing better. Do you feel a bit stuck like you are not moving in the direction you want? In order to know what more means and to get you moving in the right direction, we must first figure out what we are lacking in our lives, and what gap(s) we are trying to fill. It doesn't matter how much money you have or make, or whether you are just starting out or have a successful career, by opening yourself up to new possibilities through goal setting, you will start living the life you want and accomplish things that matter to you. Goals provide clarity and direction our lives. Money is often a reason given by many of us for not pursuing our goals in life. However, with some solid saving strategies, good financial planning and a little creativity, it is amazing what you can do. For some of us, changing our job is the first step. Life is too short -- and too precious -- to stay in a job you don't enjoy. For others, it may be paying off credit cards or debt in order to accelerate savings for a fabulous trip to Rome, Berlin or Istanbul. Some of us may be unconsciously living with dated beliefs about ourselves that keep us from being successful and reaching our goals. Sometimes all we need to do is give our self permission to let go of negative chatter or thoughts that really no longer are working for us. Here are some tips to help you re-energize and kick start your life now. Embrace the language of success. Many of us use "toxic" words everyday that may be holding us back. Words like: should, can't, could have, someday don't empower. They limit. Leave these words behind, and replace them with empowering words such as: before and after, possibly, create, unlimited, visualize etc. "For last year's words belong to last year's language. And next year's words await another voice. And to make an end is to make a beginning." - T.S. Eliot, Little Gidding. We need our voice in 2015 to have no boundaries and to be limitless. When it comes to goals, think about what you want to accomplish in the short and long term. A short-term goal is something you want to accomplish within the next year. A long term goal is something that will take longer to accomplish, for example, changing careers. There are six broad categories of goals: professional, financial, health and wellness, spiritual, emotional, and relationships. A professional goal could be finding a new job or getting a promotion. A financial goal could be saving a particular amount of money. A health and wellness goal could be to lose 10 pounds or drink less coffee or wine. A spiritual goal could be to go to church more often. An emotional goal could be to adopt a more positive attitude. A relationship goal could be to start a family or find a life mate. As you define your goals for 2015, prioritize what is important and what you can realistically achieve. Set a time frame for achieving your goals and figure out who you might need to help you get there. You can multi-task and work on goals simultaneously. This will depend on the size, scope and the demands on your emotional and financial resources. When you pursue a dream only for economic gain or to support your ego, you lessen its value. The satisfaction is fleeting. When you completely attach yourself to a goal, and know that it will fulfill, the satisfaction lasts longer. Don't try to boil the ocean. Celebrate mini-accomplishments or successes you make towards a bigger goal. For example, if you goal is to travel to Paris and you have saved 50 per cent of trip costs, celebrate this milestone. This will help propel you forward to save the balance of money needed for the trip. Try not to over-complicate your goals. Reflect on past successes in terms of the approach you took and the mindset you embraced. Motivation is important, but maintaining a winning mindset is critical to success. When you commit your heart to your dream, you will naturally create the energy needed to propel yourself forward. Set yourself up to win and don't accept second place. Don't let money be a barrier to your success. Research shows that 85 per cent of people with financial plans feel more in control of their lives and enjoy greater emotional well-being. So hire a financial planner and make a plan! Just to be clear, a financial planner will NOT set goals for you -- that is your responsibility. What they will do is create a financial plan that will enable you to achieve your life goals. They'll consider all the factors -- your risk tolerance, age and financial situation, plus inflation and tax implications -- and recommend investments that are right for you. As 2014 draws to an end, celebrate the holiday season and don't feel pressured to make resolutions on New Year's Eve. Enjoy the night because with some pre-planning today you will kick start your life in 2015 with confidence and clarity. How empowering is that?